The fighting began shortly before 6:30 a.m., when two rival convoys of gunmen clashed in the streets of Miguel Aleman. The rival gunmen battled for about 30 minutes before police forces responded to the area. The main conflict took place in the downtown area and other surrounding neighborhoods. Miguel Aleman is directly south of Roma, Texas, in an area known as La Ribereña. Due to the lack of physical barriers and lack of border security, the area is considered a prime smuggling area for the Gulf Cartel which has been fiercely disputed in the past. As authorities arrived to the battle, the gunmen began to carry out a series of escape tactics. Cartel lookouts deployed hundreds of road spikes along main avenues, while other cartel gunmen also set up road blockades. Using carjacked vehicles and buses, the gunmen parked the vehicles along the two main entry points into the city. The blockades were set up in an effort to slow down military forces en route to the gun battle. Unofficial information provided by residents of the city claim that one gunman died in the clash. 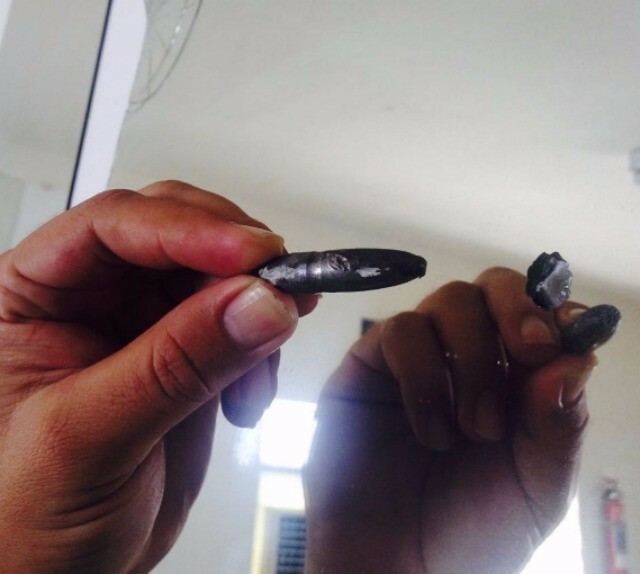 Residents also claim that dozens of homes and buildings were damaged by stray bullets. 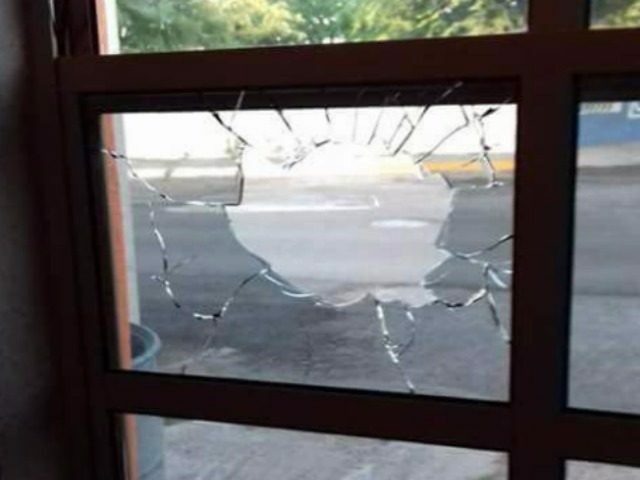 The Tamaulipas government tried to minimize the events through a news release where they claim that no one was hurt or killed in the gun battle. In their statement, authorities claim that the fighting started at 7 a.m. when a group of gunmen tried to ambush a convoy of police forces. The Tamaulipas government made no mention of cartel gunmen battling each other. Just one day after the battle, cartel gunmen with the Zeta faction known as Cartel Del Noreste (CDN) hung a banner outside of a school in Miguel Aleman taunting the Gulf Cartel. The entry of Los Zetas into Gulf Cartel territory points to a likely increase in violence along the border in the coming days. As Breitbart Texas has been reporting for the past eight months, two factions of the Los Zetas cartel have been fighting for territorial control in the border state of Tamaulipas. The faction known as the CDN, is tied to the Los Zetas from Nuevo Laredo. The other faction is known as Vieja Escuela Z and Grupo Bravo. That faction is made up some of the original Zetas who appear to receive help from the Gulf Cartel. 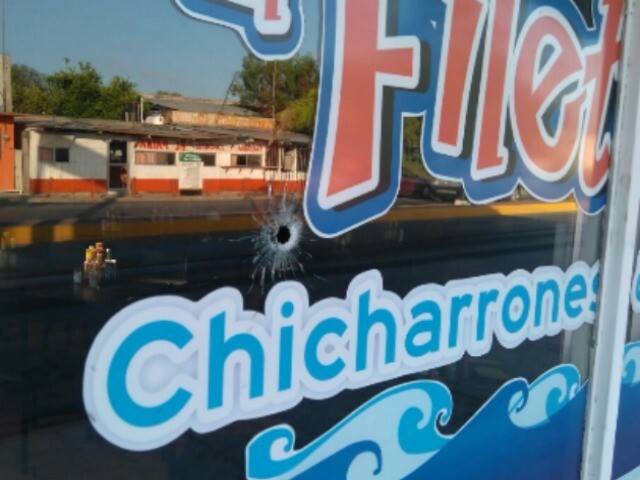 The ongoing fighting in Ciudad Victoria and Nuevo Laredo has resulted in an almost daily number of kidnappings, drive-by shootings, shootouts and gory executions. Los Zetas were originally created by the Gulf Cartel as an enforcement wing. By early 2010, the Gulf Cartel and Los Zetas had declared war on each other and began a fierce war for territorial control. Back in 2010, hundreds of residents from the surrounding communities in Ciudad Mier and Miguel Aleman fled the area, The Monitor reported at the time. The mass exodus came after Los Zetas had threatened to murder innocent civilians. Editor’s Note: Breitbart Texas traveled to the Mexican States of Tamaulipas, Nuevo Leon and Coahuila to recruit citizen journalists willing to risk their lives and expose the cartels silencing their communities. The writers would face certain death at the hands of the various cartels that operate in those areas including the Gulf Cartel and Los Zetas if a pseudonym were not used. Breitbart Texas’ Cartel Chronicles are published in both English and in their original Spanish. This article was written by “A.C. Del Angel” from Reynosa and Breitbart Texas’ Ildefonso Ortiz.